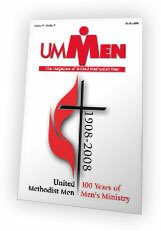 Several years ago, I wrote a series of posts titled “Why I am United Methodist.” An edited version of a few of them are scheduled to appear in the 2011 fall issue of UM Men Magazine. So that no one has to do any digging around to find them in the archives, I thought I would post them to my homepage for any who are interested. Why I am United Methodist, Part IV: Wesleyan Conjunctive Theology Cont.